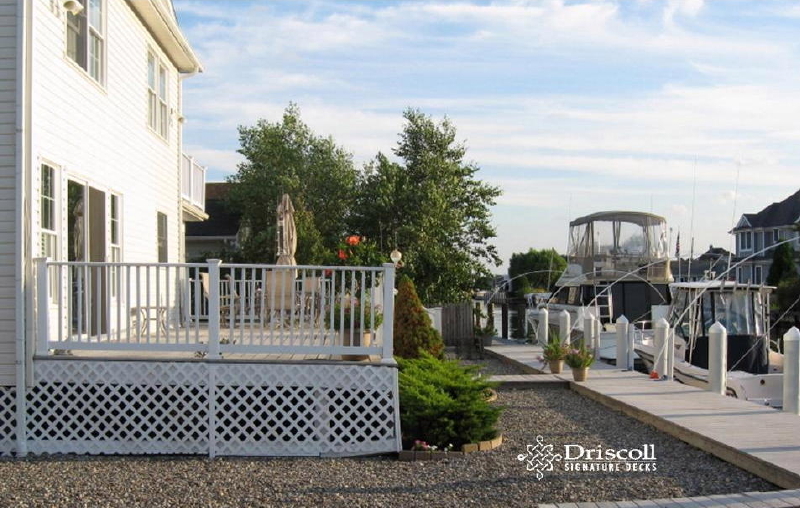 We call these Normandy Beach Decks - ’harbor decks’ because as you can see this lovely home is located on the fabulous inland waterways found all over the New Jersey Shore. And, yes that is ‘the fishing boat’ for deep sea fishing on the ‘big waves’ of the Atlantic Ocean. 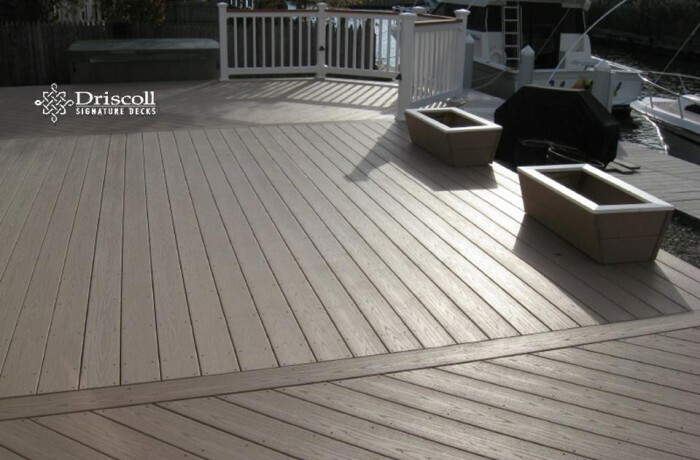 Speaking of ‘big waves’ if you look closely at the decking boards on their existing deck, yes they looked like – big waves. 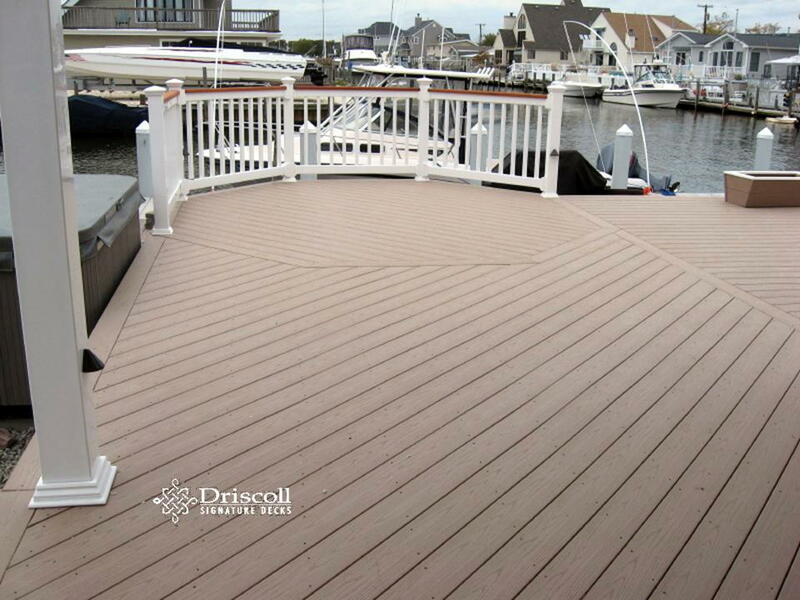 We’re not sure if a big storm came along or just a real wavy builder, so to speak; but thankfully Driscoll came with a plan to fix it. 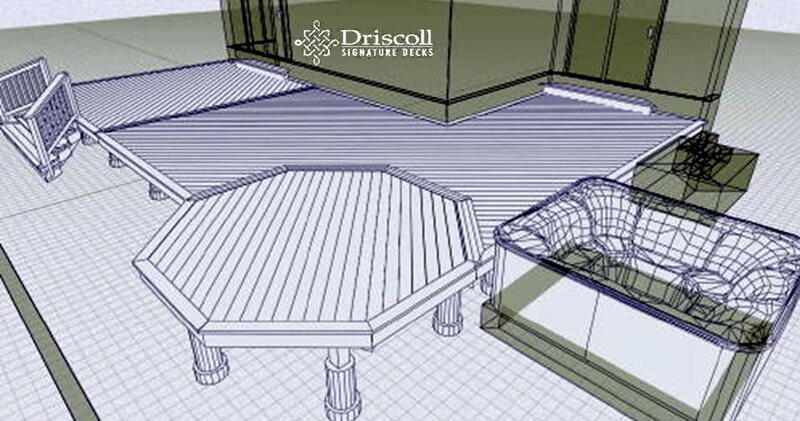 Looks like another fabulous Driscoll plan, so let’s get to work..! 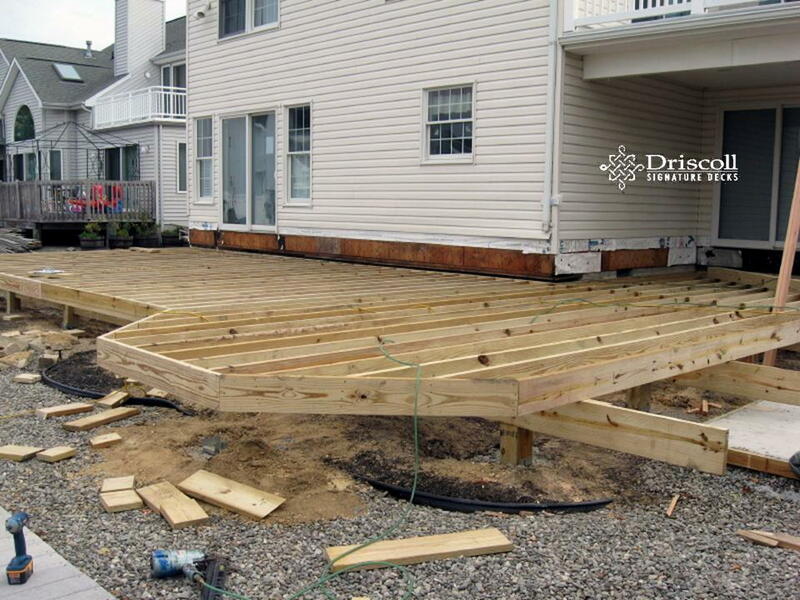 Our ‘Signature’ Robust framing always gets us off to a great start..! 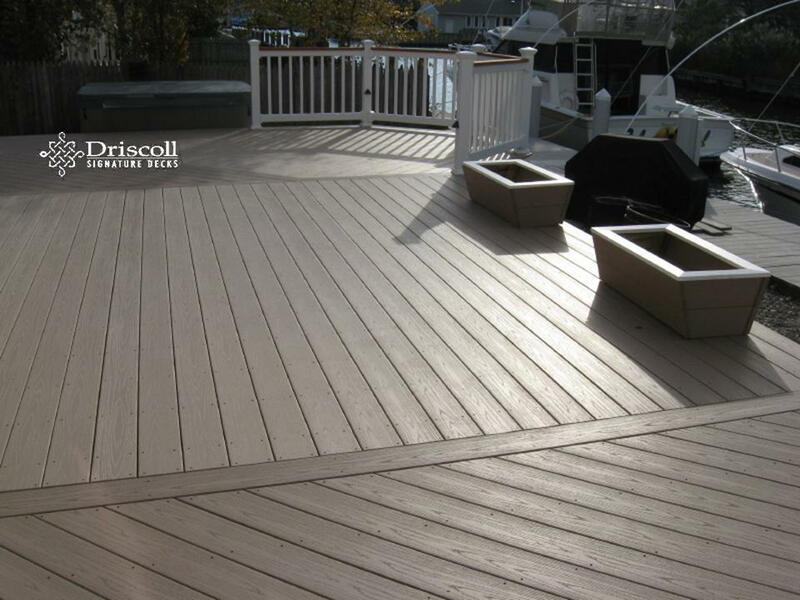 Note the cellular vinyl decking boards and patterns with the level octagon dinning area with with vinyl railings w/Spanish cedar top rails and the spa set on a paverstone patio with access from the deck too. And a few ‘custom made’ planters to complete a perfect setting..!